5.80€ Bottle 75 cl Tax incl. 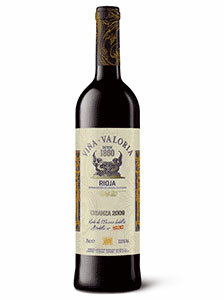 Origin: Elaborated from the selection of the Tempranillo variety from places chosen for generations in the Rioja Alta, in the municipality of Fuenmayor. Vinification: Fermented with whole grapes and natural decanting, for subsequent aging in large wooden casks for several years. Finally, it finishes its ageing process in the bottle, where it will remain for a minimum of one year before being marketed. 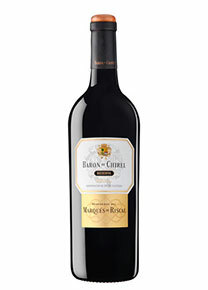 Tasting Notes: Garnet cherry color with rim tile, indicating its great age. 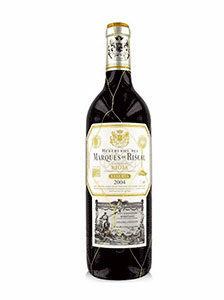 It is elegant and powerful on the nose, with aromas of pepper, spices and ripe red fruits. It surprises his light tannic expression in the step of mouth and his prolonged postgusto. Recommendations: It is the ideal companion for all types of meats, game and cured cheeses. It is recommended to serve at a temperature between 15 and 18ºC. It is advisable to uncork the bottle one hour before tasting.